Leading supplier of logistics automation, warehousing, materials handling and storage systems, Dematic has been presented with the Wesfarmers Industrial & Safety (WIS) Service Provider of the Year Award at its Supplier of the Year Awards in Sydney. The award was accepted by Dematic CEO Glen Borg. According to WIS Supply Chain Manager Stephen Halling, Dematic has worked extensively with the WIS team in determining the most appropriate warehousing technologies and demonstrated a high degree of professionalism throughout the process of designing three automated warehouses. Dematic is currently installing automated warehousing and order fulfilment solutions for WIS in Sydney, Adelaide and Mackay. The solutions include Goods to Person (GTP) zone-routing conveyor systems, which automatically deliver orders only to where picks are required, ColbyRack storage solutions, Vocollect voice-directed picking and Dematic’s PickDirector warehouse control and order fulfilment system. Darren Rawlinson, Manager of Wholesale and Distribution for Dematic explained that Dematic worked collaboratively with the WIS team in examining the solutions for the three operations with improved customer service and efficiency as the key objectives. The design for the Blackwoods Greystanes DC in Sydney includes the first Australian installation of Dematic’s new Multishuttle 2 (MS2). 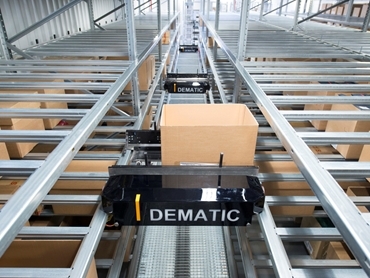 Instead of the cranes typically used in ASRS, Dematic Multishuttle systems use a fleet of self-propelled ‘shuttles’ to retrieve and put goods away in an ultra space-efficient storage system at very high speeds. Lifts at the end of each aisle transfer goods in and out of the system via integrated conveyors. The second generation MS2 incorporates advanced engineering, lightweight aluminium construction and a new load extractor for faster operating speeds, higher load capacity and multi-deep storage capabilities, enabling Multishuttle systems to be better tailored to meet each user’s unique product handling requirements. WIS is a key provider of industrial and safety products and services in Australia and New Zealand, with brands including Blackwoods, Protector Alsafe, Bullivants, Total Fasteners and Coregas. WIS services customers across the mining, oil and gas, energy, construction, infrastructure, manufacturing, government, health, transport and logistics sectors.